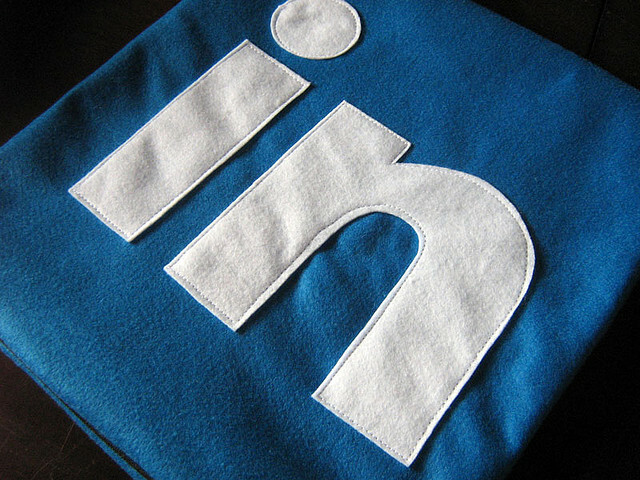 Have you been thinking about upping your presence on LinkedIn recently? You should probably consider it. With 150 million members worldwide and 280 million visitors per month, LinkedIn is a professional ecosystem that nonprofits should capitalize on. Yet another social profile might seem overwhelming and overrated, but LinkedIn’s unique professionalism makes it a great place to network and seek out more deeply committed supporters, like volunteers and corporate matchers. The key to building a successful (and valuable) presence on LinkedIn is identifying what you want to accomplish. Like any other social media profile, your LinkedIn page should reflect what your nonprofit stands for. It’s important to use the same messaging here that is being used to promote your cause on other networks and on your website. (Consistency in any marketing effort is key). This also makes building your profile easy because most of the content may already exist! 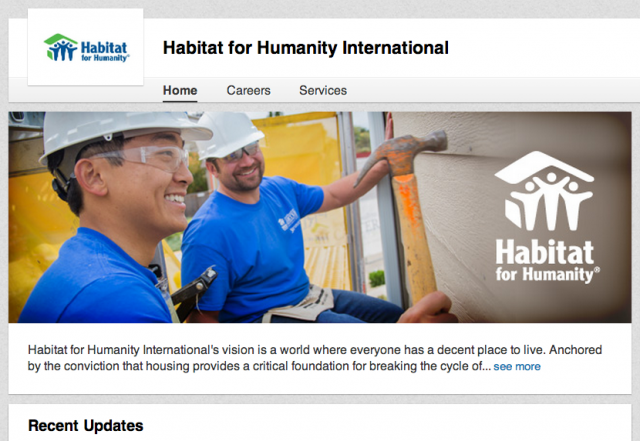 Nonprofits on LinkedIn can create a visual connection between their name and their mission, like Habitat for Humanity. Then, they outline the work they do, why they do it, and why people should support their cause. They also conclude their summary with a call-to-action to visit their website to learn more and become more engaged with their mission. Read our guide to writing a compelling short story here. Complete the entire profile. Don’t leave anything blank – it can come off as lazy or suspicious. Upload a high quality logo to your page. LinkedIn requires a photo 100 by 60 pixels uploaded as a PNG, JPEG,or GIF. Create an image that depicts your nonprofit in action and identify the hero of your story. Make sure you feature your organization’s name on the image, since this visual should create a cognitive association between your work and brand. Make sure your products and services are up-to-date: On your page’s product and services tab, list your current programs and volunteer opportunities. It takes time, but there are things you can do to start attracting an audience. Keep your followers updated by posting about your latest campaigns, new blog posts and the goings-on of your organization. Your updates should be relatable and specific to the sector you’re operating in. In conjunction with International Women’s Day, Habitat of Humanity shared a post from their blog celebrating female empowerment. This was a timely update that garnered a lot of feedback because it was relevant, and it also related to Habitat Humanity’s overall cause of improving the human condition. Nonprofits on LinkedIn can take advantage of holidays and current events to promote their content. This particular update does a great job of sharing the success of a partnership – the construction of close to 41,7000 homes since 1983. Linkedin is a professional network that connects like-minded people who are working in the same or similar fields. This is a great audience for promoting your cause because your network might be interested in supporting your organization in some capacity as it relates to them! How is your organization using LinkedIn to promote your cause?